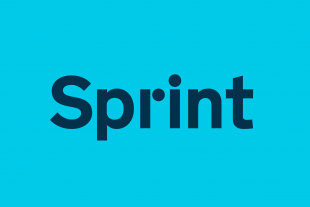 On Thursday 7 November we hosted Sprint Share in Birmingham, the latest of our Sprint events for people in government to share their experiences of transforming UK digital services. Phil Buckley, GOV.UK Performance Platform Product Manager, also gives an update on the most recent releases of performance data for the car tax renewals and Statutory Off Road Notification (SORN) services. Mike Beaven: Today is about all the folk across the whole of government working on transformation to get the chance to share what they've learned, share problems, talk and interact, and really get to know each other a bit better. Clips from Sprint Share attendees and speakers: People are here to understand what everyone else is doing, but also to offer advice to anyone else who's just starting up, setting up digital services. You are all delivering, we're seeing things happening, we're seeing things coming out, we're making progress. We are moving from old to new across government. Coming here, re-emphasises the fact that you're part of something much wider across the civil service. And that's very invigorating, very enthusing. It's really interesting to find out that when we come out of our offices and go to meet other departments, they've got some very similar issues. It allows you to share in some of others' successes and to share problems, and to get feedback around how you might go away and deal with some of the things you're struggling with in your own project. Phil Buckley: Recently we released two dashboards: one for renewing your car tax disc and the other for taking your car or motorbike off the road - Statutory Off Road Notification or SORN. These are the biggest dashboards we've had on the Performance Platform up till this date, many millions are done every year, and some really interesting information has come out. In particular, for the first time ever we've got information on the same page about how many people are doing it digitally compared to how many people are doing it by going in to the Post Office, and there are a very small amount of people who still will go into a DVLA office and sit there and somebody will help them fill in a form, so it's been really interesting to put this information onto a dashboard for the first time.